Sugared pecans are a time honored Texas tradition. They’ve been on many a holiday table in my lifetime, though this spicier version is new to me. New, and completely addicting! I’m especially excited to share this Texas tradition with the Food Fanatic family on Christmas day. I know that many folks think of pecans and Georgia in the same thought, but pecans are one of Texas’s largest crops. Growing up, my nan had a giant pecan tree in her backyard, and every summer, my sister and I spent hours combing the grass for those precious brown and black shells. I can smell them now – the woodsy, smoky smell that accompanies the outer shell. And the hours spent at my grandparents’ kitchen table, shucking those shells so the pecans could be preserved for the rest of the year. Precious hours in the company of grandparents passing on the importance of gathering what nature gives us, and using it all year long. It’s a lesson I hope to pass on to my son in spades, as well as an appreciation for all flavors native to Texas. Cinnamon and cayenne are a match made in heaven, especially to a Texan palate. You’ll find them paired with chocolate most of the time, but they marry so well that you can add them to anything – cream cheese frosting, roasted nuts, even cookie dough – and find yourself falling head over heels for the creation. 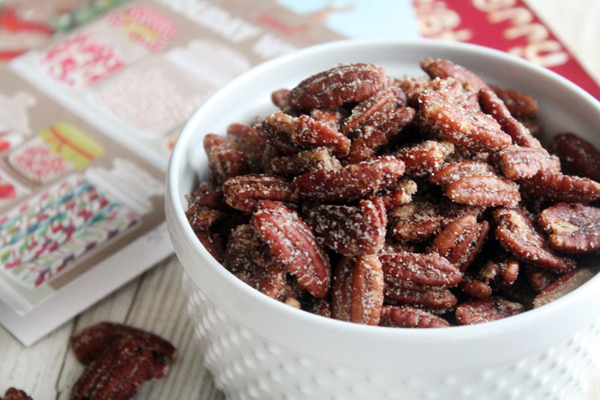 What I love most about these sugared pecans is how quick and easy they are. You can package them up in sweet little sacks with ribbon for homemade Christmas gifts, or simply put them out in strategically placed bowls for your Christmas party. Your party guests will find themselves coming back again and again for handfuls. This sugared pecans recipe is excellent atop cakes, in cookies, and could even be used in pecan pie. 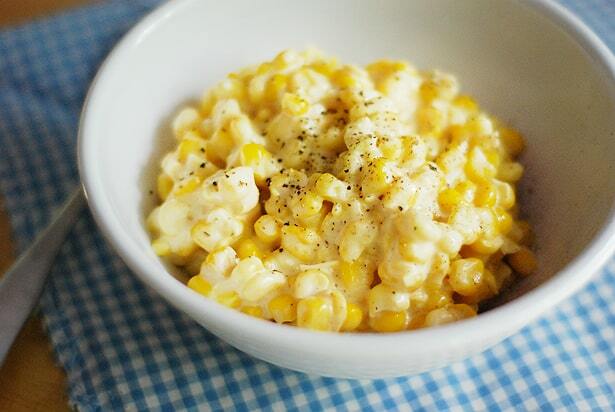 They’re so quick to make, you’ll be putting them in everything! The ONLY problem I have with nuts like this is putting them down. I’ve made them and gone through, well, um, too many in one sitting. 🙂 The hint of heat is simply a plus.